As William T. Riker on Star Trek: The Next Generation, Jonathan Frakes had plenty of opportunities to play the confident young officer ready to tell anyone and everyone how wrong they were. In his second most iconic role, as the host of Beyond Belief: Fact Or Fiction, Frakes took this air of smug superiority to another level. 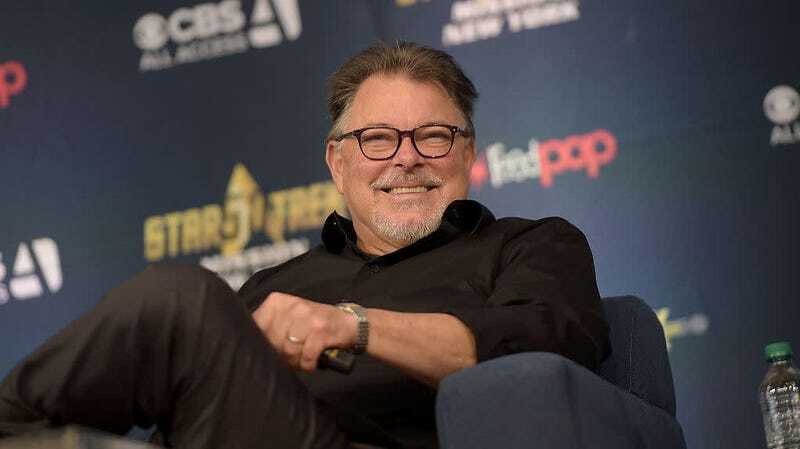 Each episode, Frakes would present a series of stories involving supernatural or illogical elements and invite the viewer to guess which ones were real. Then, the actor would inform the viewer of the truth, relishing all the various ways he could tell them what dumb, gullible idiots they were. It’s fiction, you fool! They made it up! It never happened! Thanks to this supercut put together by YouTuber and musician Wintermoot, we can relive the embarrassing experience of, first, being tricked by television show and, second, being forced to endure Frakes’ rakish grin. It’s painful, but at least now we know how Worf feels.